I have been having a play with my Cricut machine and used my favourite cartridge to make the card below. Can you guess which cartridge it is? The words were welded together using the Lyrical Letters cartridge. No trace of ink on this card which is unusual for me and I love the colours. I have used different shades of pinks and also a touch of black. 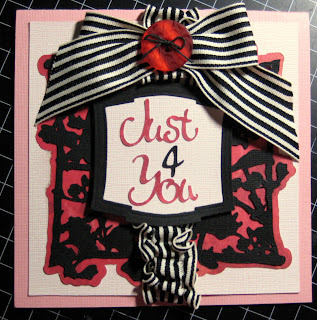 The paper is Basic Grey Indian Summer and the ribbon is 1.1/14" Basic Black Striped Grosgrain from Stampin' Up! The button is just from my collection and I have also used my Labels Two Nestability to create the frame. Sorry Belinda ... just thought I would dig my hole deeper :) private joke everyone! Seriously .... HAPPY BIRTHDAY BELINDA! 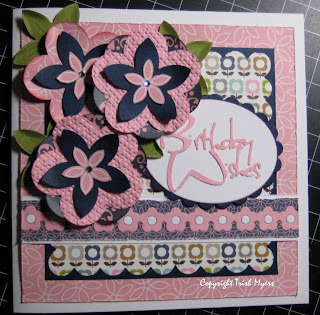 I think that I have used every kind of punch and die cutting machine available to me on Belinda's card. 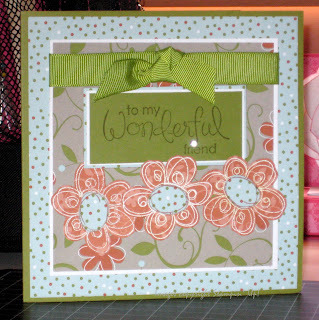 The Flowers that you see are by Stampin' Up! .. 5 Petal Flower and the Fancy Flower extra large punches. I also used the Lattice embossing folder by SU on the Fancy Flower shape and the Scallop Square Bigz Die was used to cut the cute daisy paper. Cardstock is Night of Navy, Whisper White and Pretty in Pink.. I have used the cricut for the greetings, nestabilites for the oval shapes that you see and MFT Die-namics Flower Border as well. I cannot remember what the papers were that I used, I would have to go looking for them. But give me a hoy if you want to know. 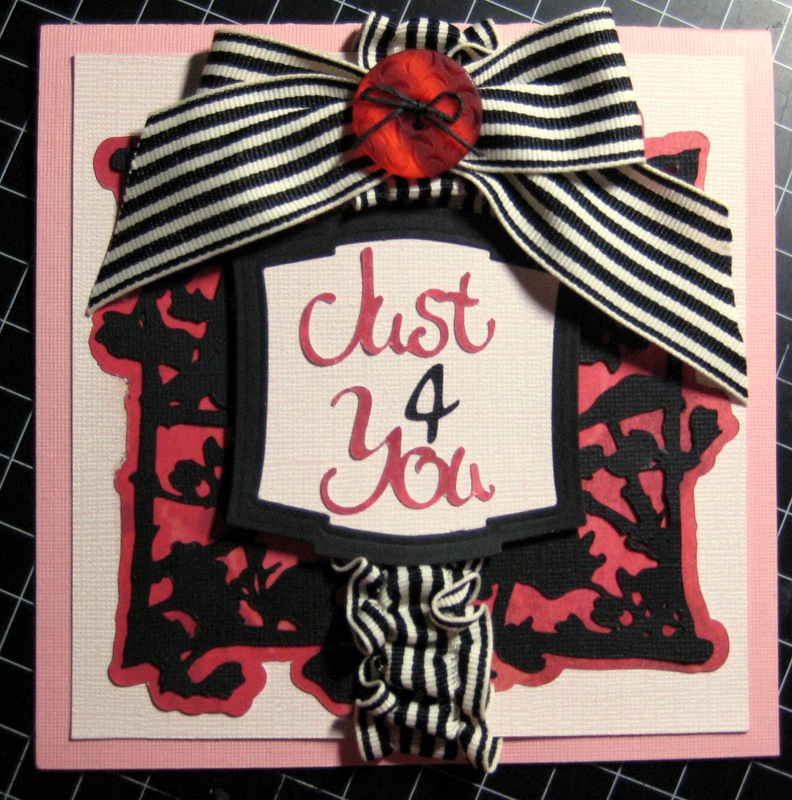 The card I made this week, I can't show you because it is for a friend's birthday, so I will save it for next week. But in the meantime, here is a card from my stash that I sent to another friend whose birthday is tomorrow. On this card I used Scribble This for the flowers and the greeting is from Wonderful Favourites. Now I had to hunt around to see what the papers were from, thank goodness I hang on to my old catalogues. It is called Fall Flowers. The card colours were Whisper White and Old Olive as were the inks. I have also used 5/8" Old Olive Grosgrain and a special bit of bling that shines brightly as the dot on the i.